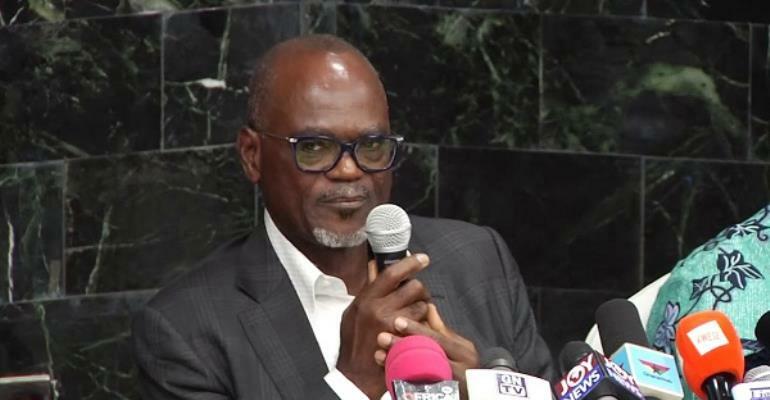 Chairman of the Ghana FA Normalization Committee, Dr Kofi Amoah has pledged that his outfit completes their mandate after earning an extension from FIFA. The Normalization Committee was instituted to in October last year hich replaced the Executive Committee of the Ghana Football Association after their airing of the 'Number 12' video by Anas Aremeyaw Anas. The committee was expected to leave office at the end of this month but FIFA has extended their mandate with another six months and are expected to leave office on September 30. However. Dr Kofi Amoah has explained the reason for the extension of time from the World Football governing body. “We have done well but I still believe there is a lot to be done, so they (FIFA) decided to extend the mandate. We will try our best to finish our task before the said date but I believe we will finish before the deadline,” he told the media. “Ghana used to be on top of football, our domestic League was ranked number 2 now we are ranked 21. So our football has collapsed, so we have to take our time and restructure, we (Normalization Committee) are not here because of money but we believe this is a national assignment and we have agreed to do it. “We are still working around the clock, it is a huge task, we have been able to meet all stakeholders. We met with referees, players, Club administrators and media so that we will work together and it takes time to do this.